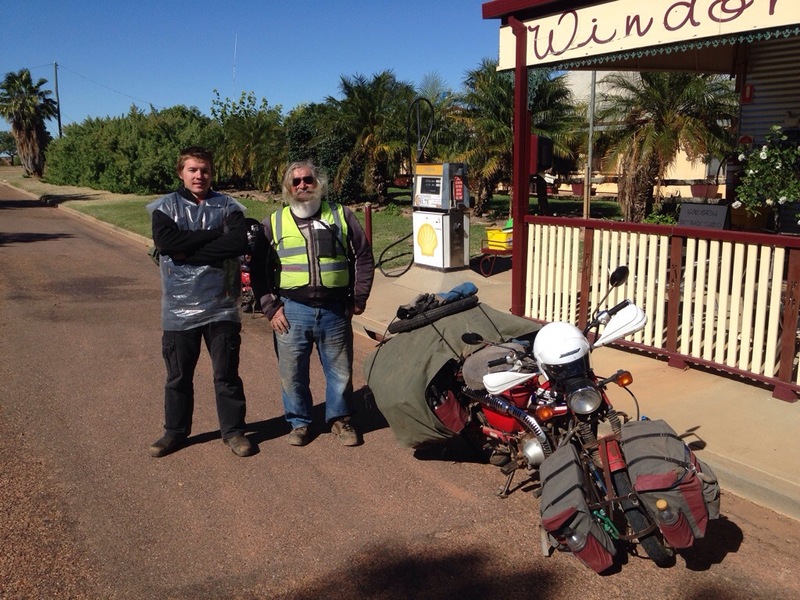 We woke early, fuelled up the bikes and headed out of Alice towards the turnoff for the Tanami Road (whoever named it a road was being generous). This section of the ride was going to be the toughest ride and our longest stretch between stops. 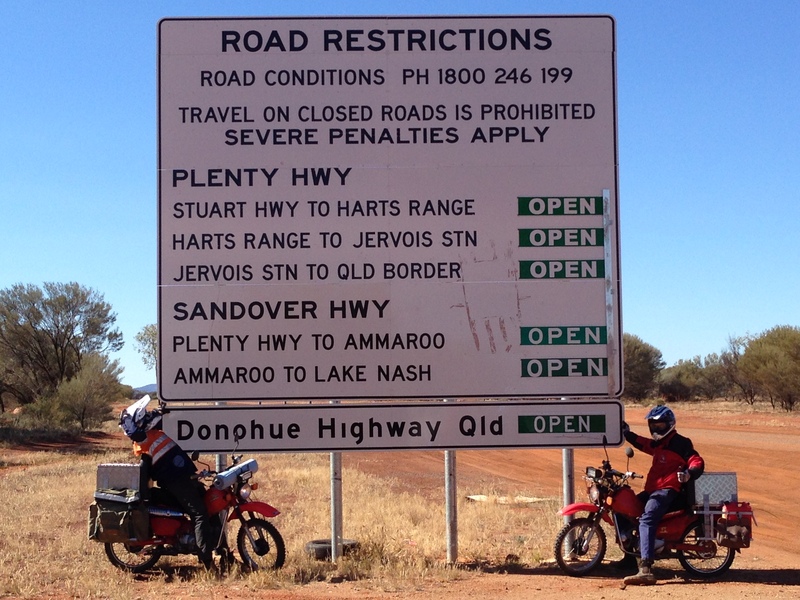 The first stage to Tilmouth Roadhouse was easy going with road being completely sealed but it didn’t last for long. 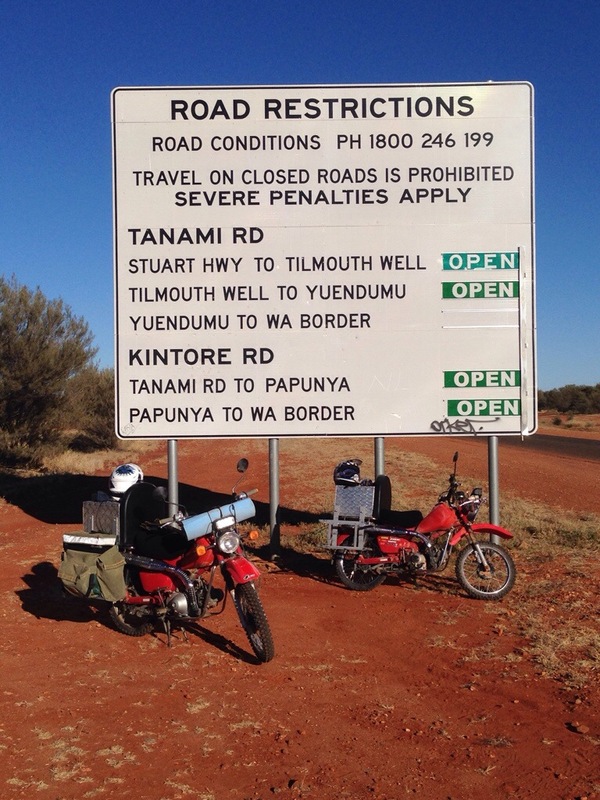 We were soon bouncing up and down along the famous Tanami road corrugations along the way to Yuendumu. As we bounced along we spied a section of tar ahead, but that wasn’t all we saw. 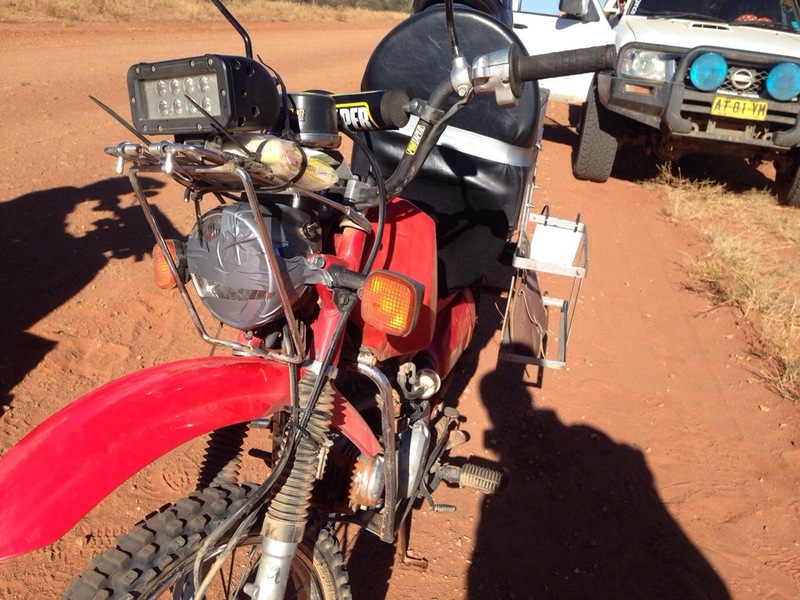 Sitting on the side of the road just off the dirt section was a police car running a RBT. 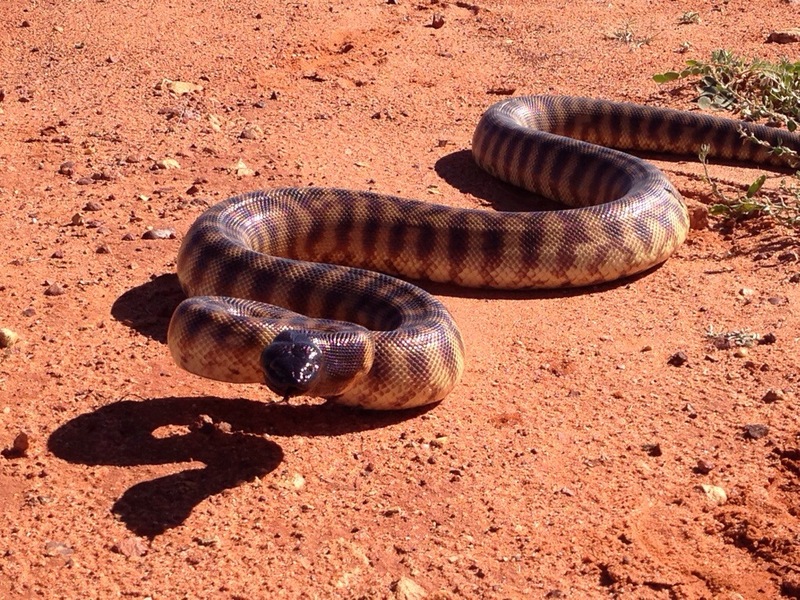 Admittedly I have seen RBT’s in stranger places but this still surprised me, after a quick chat and a blow on the straw we were soon on our way again. 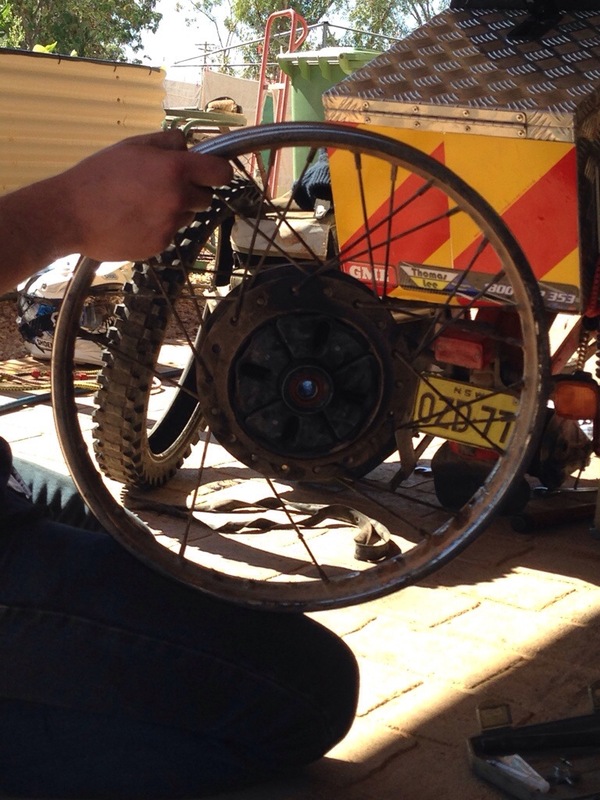 We stopped in Yuendumu for quick bite to eat and to check the spokes (surprisingly none were broken) before heading out again. 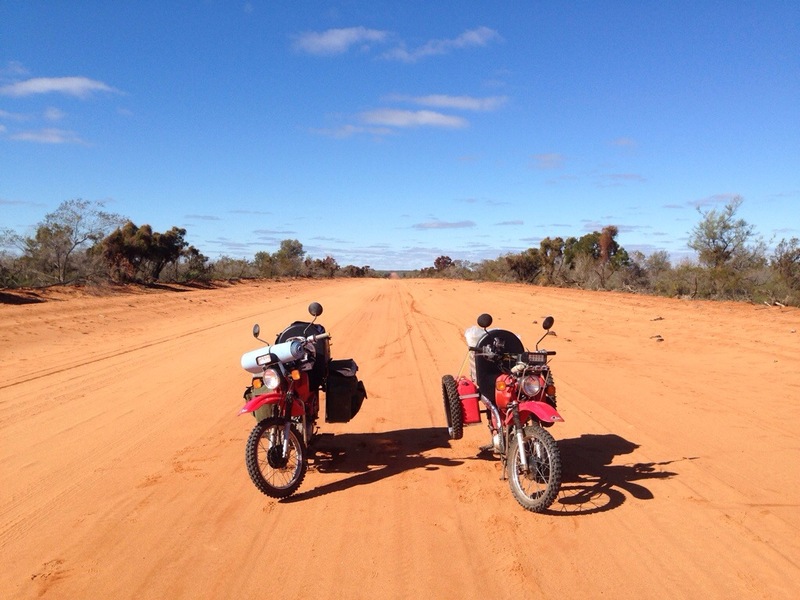 The road didn’t get any better as we kept riding with the corrugations shaking the bikes pieces. They rattled so much stuff loose that by mid afternoon my headlight, seat, backrest and light bar were all held together with duct tape! 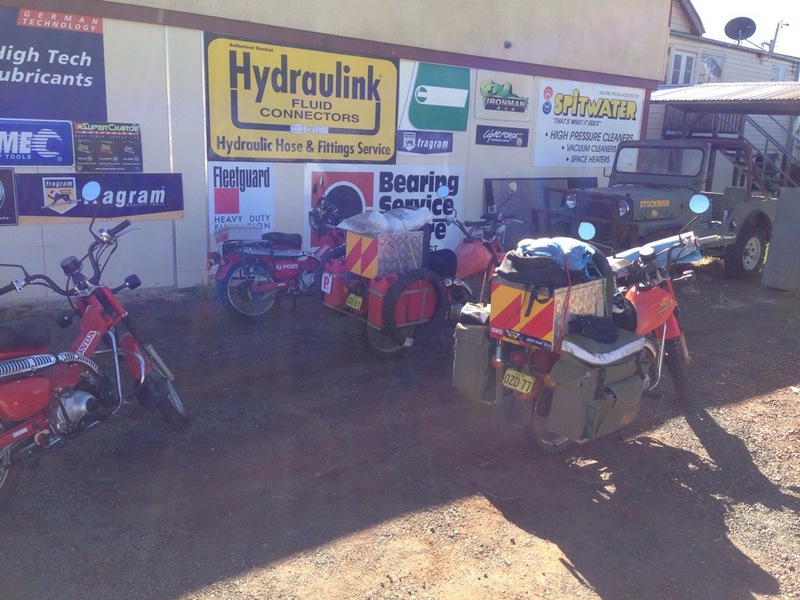 But the bikes kept on running right up until the corrugations rattled my carbie to bits bringing the bike to a stop. 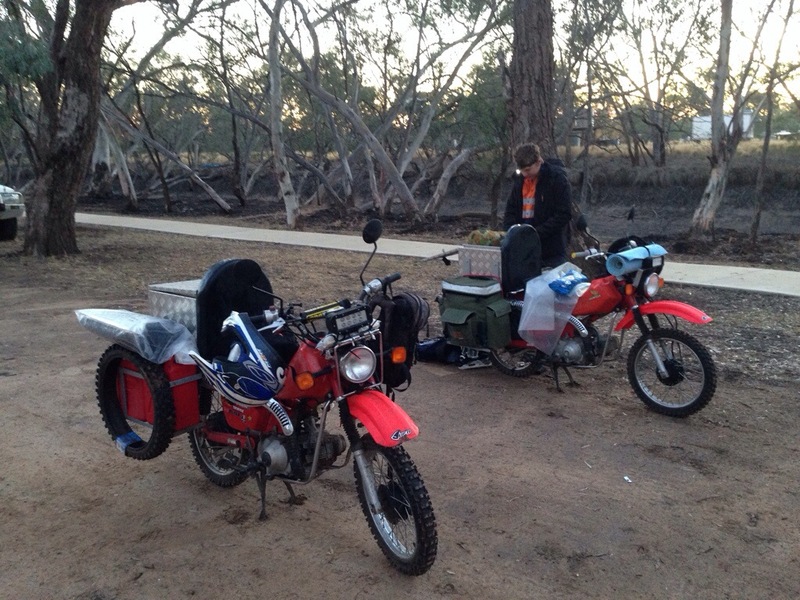 I soon got the bike back running but with the sun starting to set we turned around and traveled back a kilometre and set up camp at Renahans Bore. 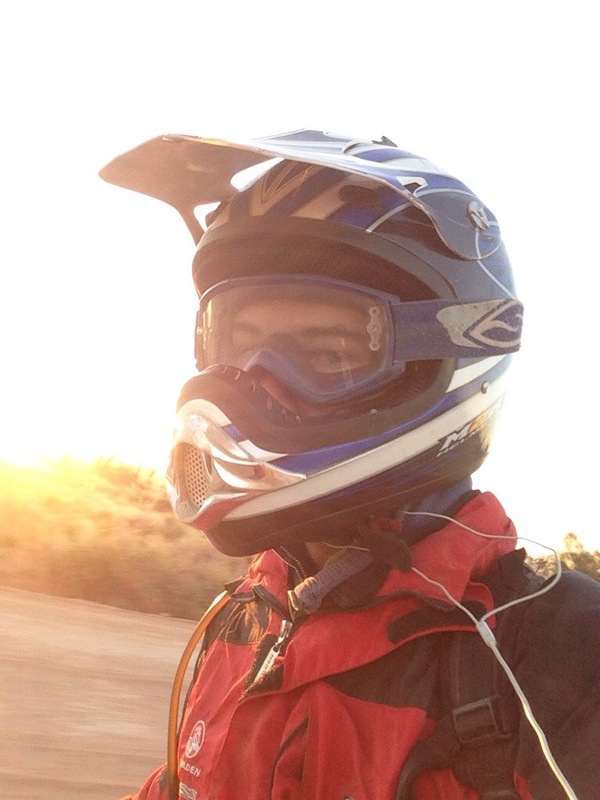 We had given the bikes a good going over before we went to bed, tightening anything that was loose and duct taping anything that couldn’t be tightened. 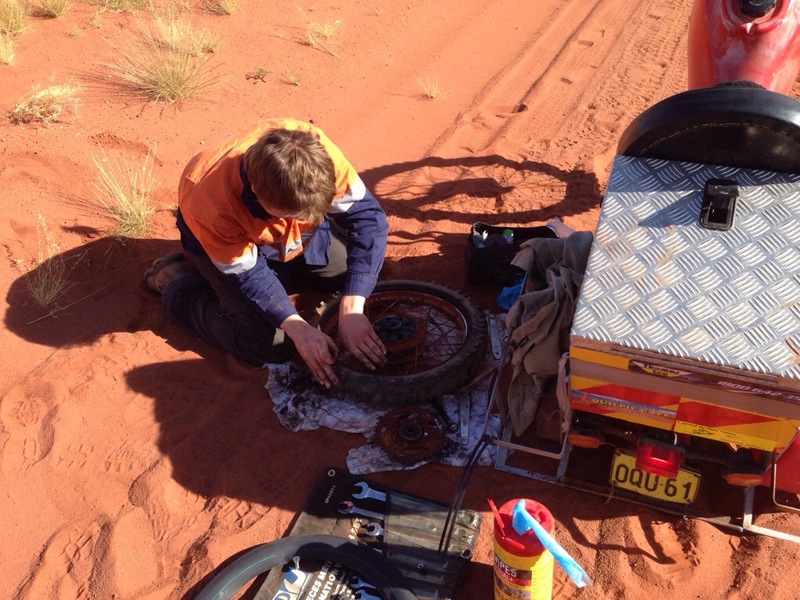 Surprisingly we hadn’t done any more spokes but still gave everything a tighten before heading out on the Tanami again. 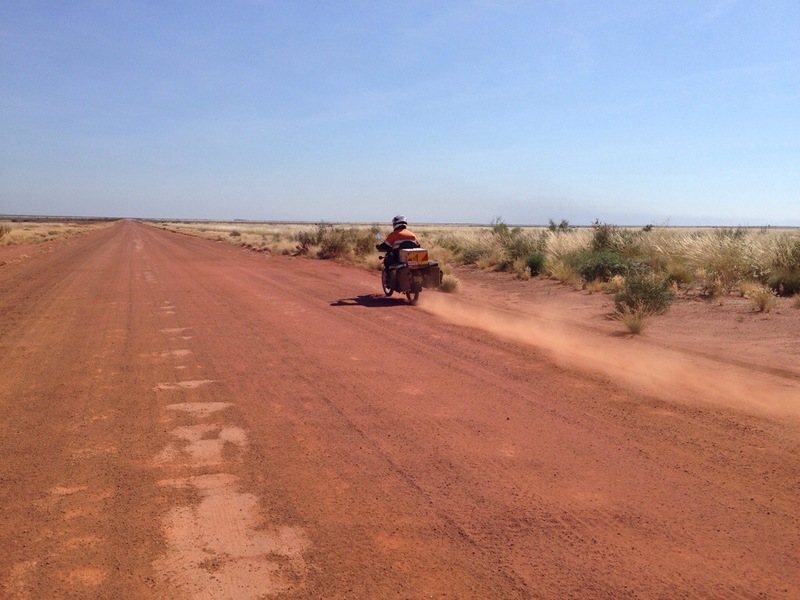 I was flying along and took the lead as a road train went past us, I lost sight of James in the dust and just assumed he’d stopped to take a picture and was just behind me. I road on and kept going until I went to change song on my phone and noticed I had reception. 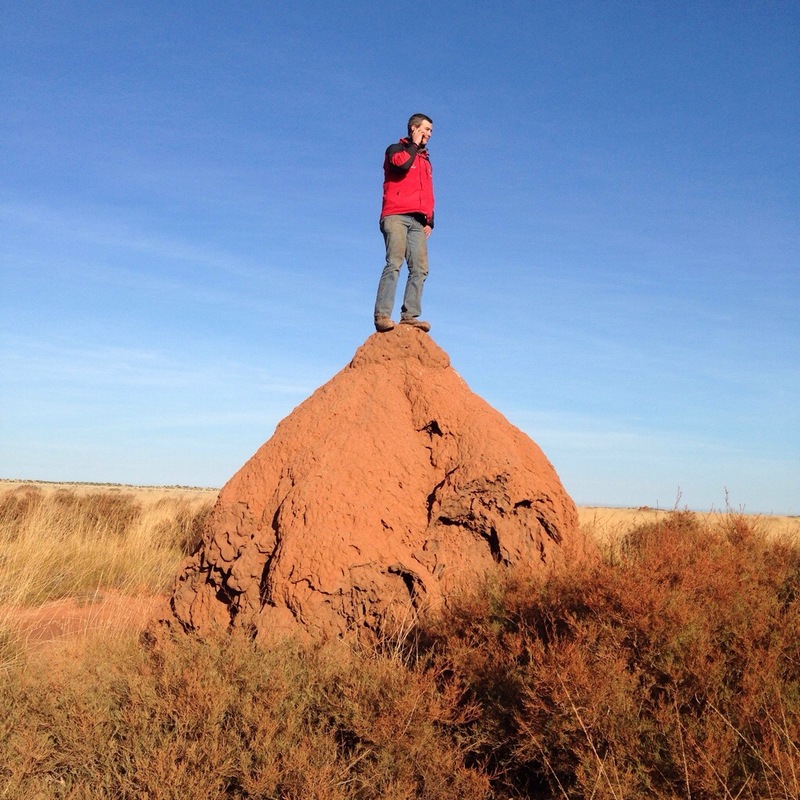 After a quick call on the UHF I found out that James was held up with a flat tire so I climbed up a mite mound in search of more reception. 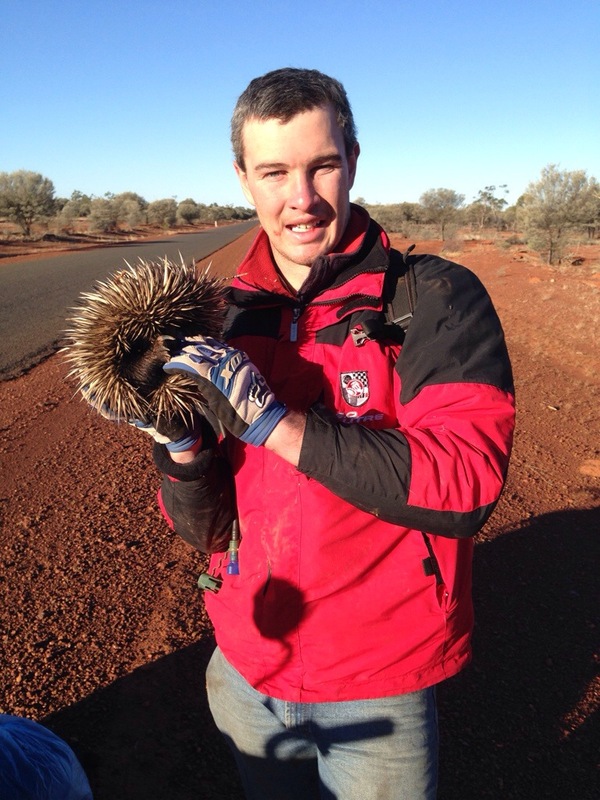 Luckily there was enough service to make a quick phone call home and then do a interview with a radio station in Alice Springs. James eventually caught up and was able to take a stunning panorama photo of me making a phone call before we headed off again. 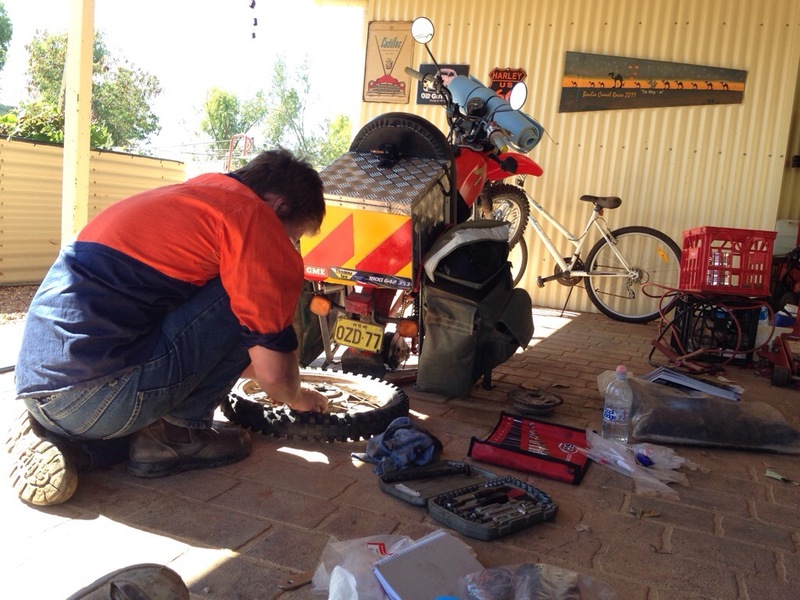 It wasn’t far down the track until I blew my rear tyre as well, but we soon got it fixed and were underway again. 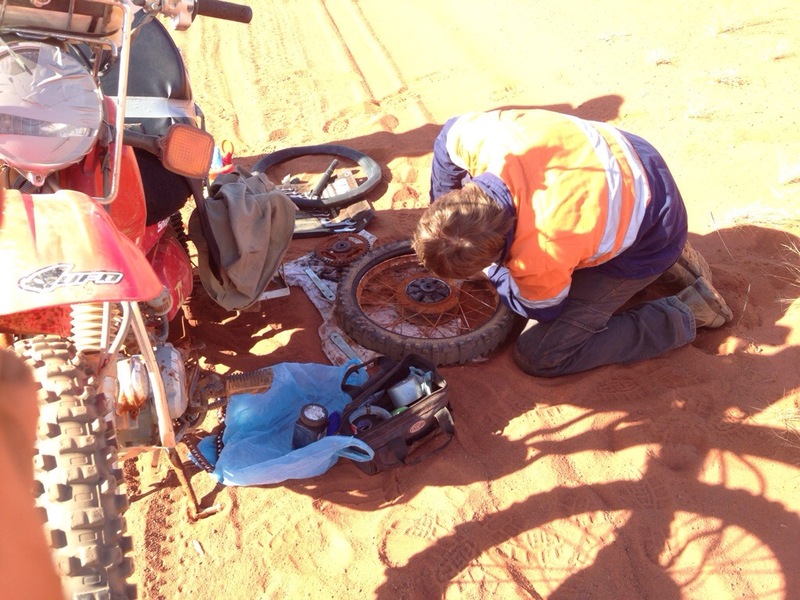 It was a bit of a surprise to me that we hadn’t gotten a flat earlier in the trip but if there was a section of rd that going to test our tires it’d be the Tanami. I’m surprised that any business, mine or station can operate off that road as it just seemed to go from bad to worse with only the odd decent section in between (corrugated but not too corrugated). However the road did briefly become good for a short while as we passed the Granite Gold Mine. 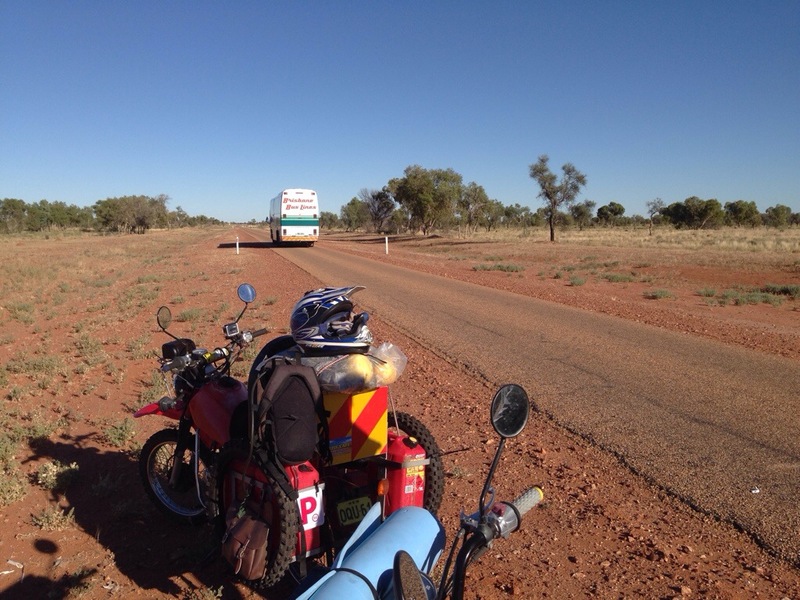 Only the odd horse, dingo, camel or donkey broke the monotony of the corrugations and dust but we kept pressing on. We crossed into WA hoping they had used their graders recently but found that it was about the same as the rest of the road with some sections being the worst on the trip. 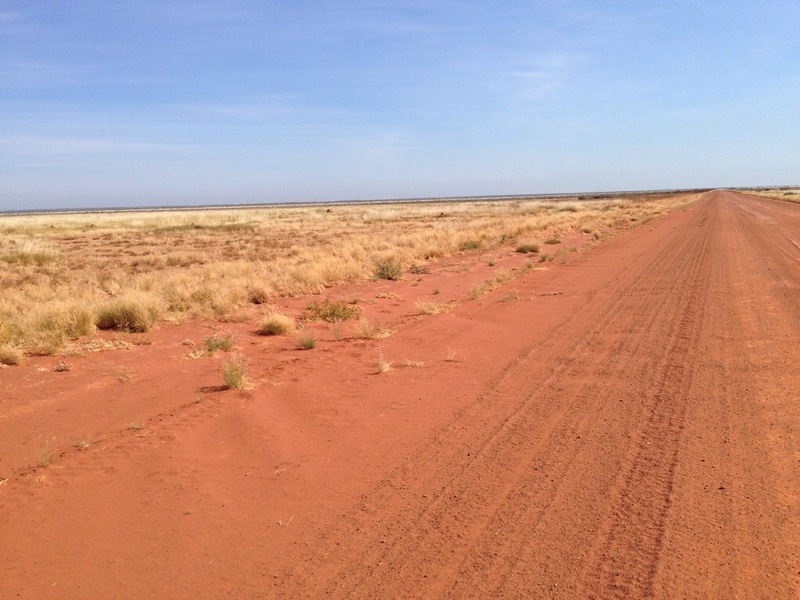 Along this stretch the bike had to be slowed down to about 30km/h to cross it comfortably. Eventually I just cracked and hit it hard hoping to either get across it quickly or snap the bike in two trying. 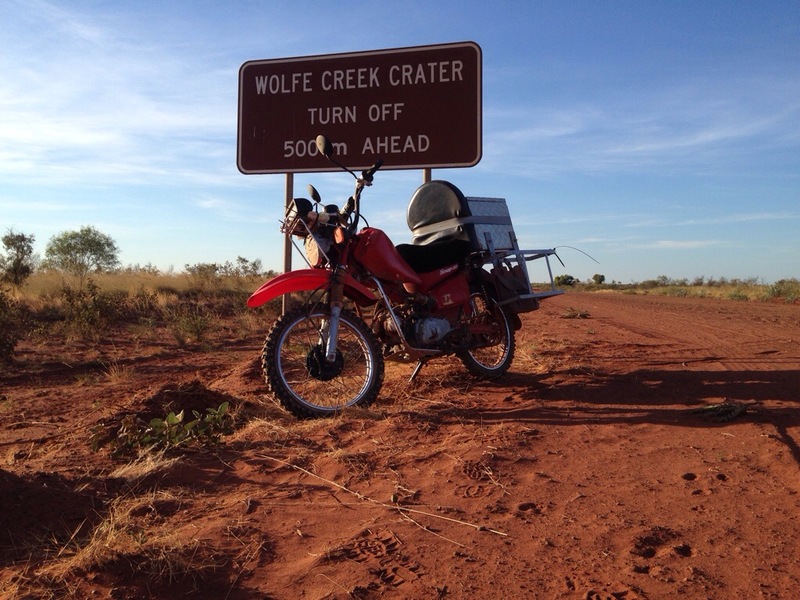 Somehow I made it out that stretch and continued on flat out towards Halls Creek. 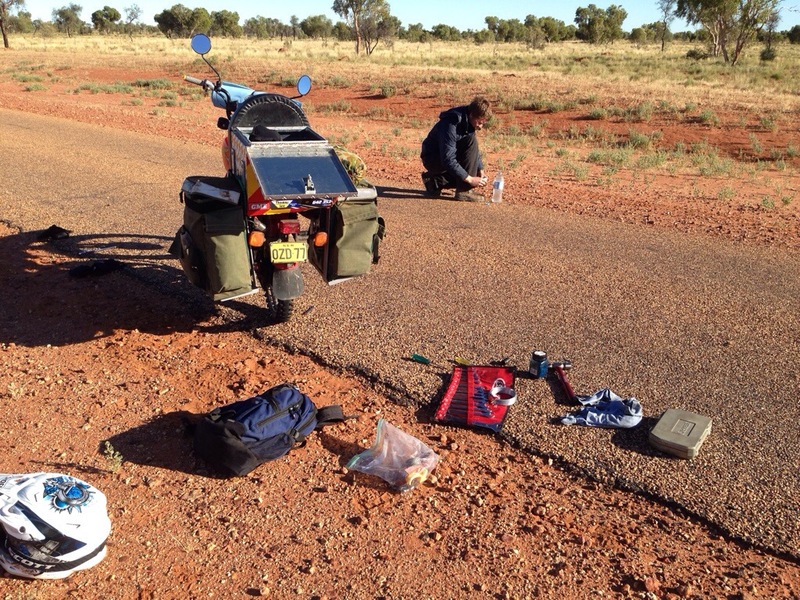 With the sun setting and James getting another flat tire we pulled up about 10km short of the highway and set up camp for the night. 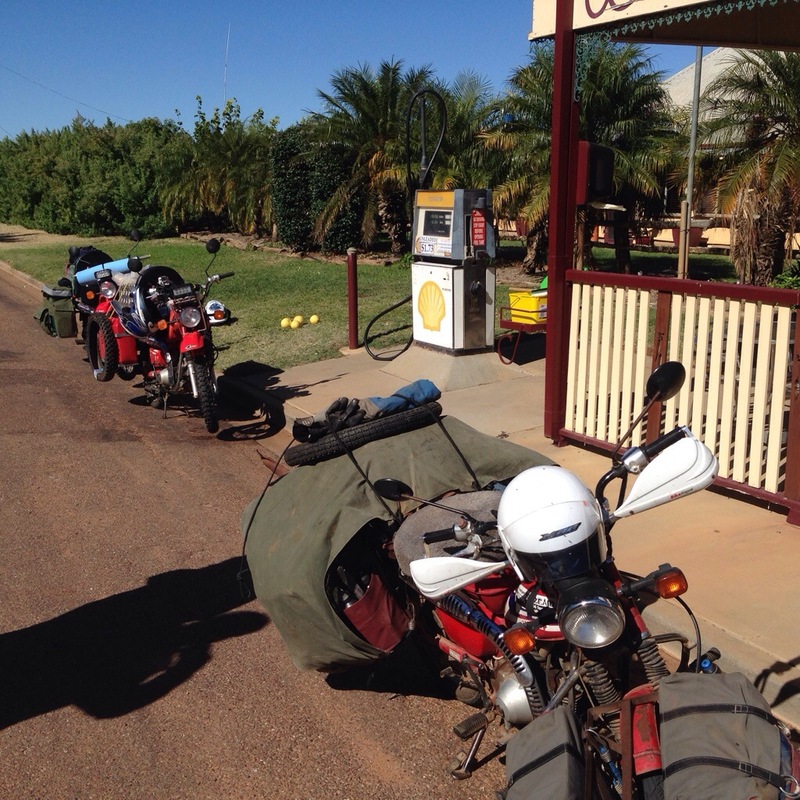 We’re currently off the Tanami track on our way past Fitzroy Crossing and plan on making camp in Roebuck tonight. 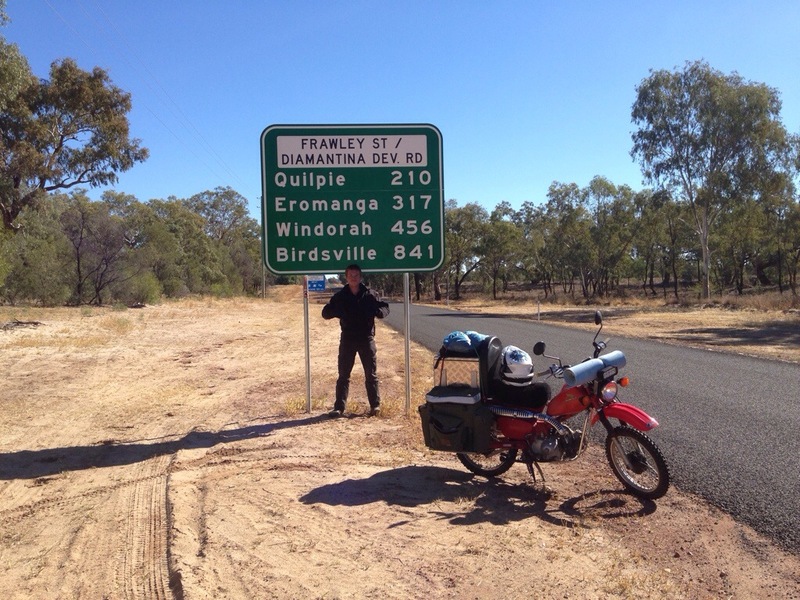 This entry was posted in Uncategorized and tagged 4x4, Adventure, Australia, coustum postie, East to West Postie Ride For Farmers, outback, Postie, Postie Bike, tanami, touring bike, touring postie, Travel, traveling.